With this video, you'll learn how to analyze the impact of social media and build successful strategies for the use of analytics on your specific projects or in your entire organization. 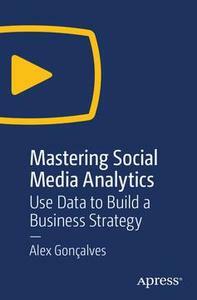 This video covers the strategic use and application of analytics using social media data. It initially describes the basic elements of data and analytics and then dives deeper into strategy and application methods. The list of topics covered include: Data collection, types of analytics for social data analysis, the analytics process, metrics, dashboards, reporting, tactics and strategy. The goal is to empower the viewer to pursue any objective requiring social data analysis.